The remains of late Madam Felicia Omavowa Oki who passed on November 27, 2017 at the age of 55 will be interred Friday April 13 at her home-town, 22 Ugborikoko Road, Ugborikoko in Uvwie Local Government Area. 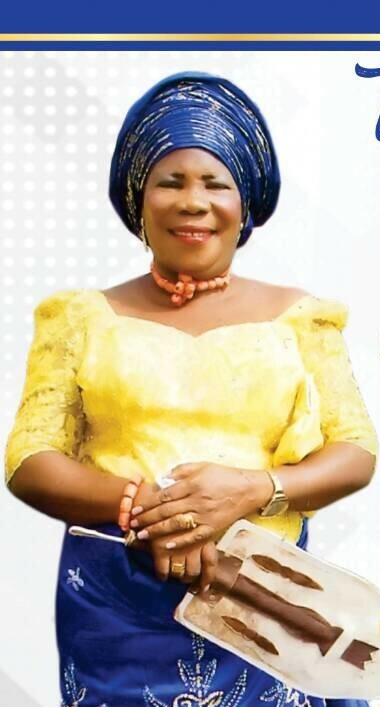 According to a statement made available to Fresh Angle International by Mrs. Joy Moore, second daughter of late Felicia Oki, the funeral programme will commence Thursday April 12, with Service of Songs at her husband’s compound, 5 Fresh Ville Hotel Road by Army Check Point, Okuokoko in Okpe Local Government Area by 4pm. The statement added that before the interment of late Felicia Oki on Friday April 13, her body will leave Veenel Hospital, Okumagba Avenue, Warri for a brief stopover at her husband’s compound, 5 Fresh Ville Hotel Road, Okuokoko. Entertainment of guests/In-law’s greeting will follow immediately late Felicia Oki is interred at her country-home in Ugborikoko Road, Ugborikoko. Thanksgiving Service will hold Sunday April 15 by 10:00am at the Redeemed Christian Church of God, Jesus House Parish, Fresh Ville Hotel Road by the Army Check Point, Okuokoko. Mrs. Joy Moore shared her grief this way, “the death of our mother is indeed a painful loss to us and others who came in contact with her”. Late Felicia Omavowa Oki is survived by an aged mother, Davweghren Mivwose, husband, Pa. Thomas Oki, six children, five grandchildren and a son in-law, Mr. Dave Moore. The children are: Gladys Oki, Mrs. Joy Moore, Solomon Oki, Samson Oki, Edith Oki and Becky Oki.